The mound of Lystra, now called Zordula, is located about 18 miles south of Konya (biblical Iconium), Turkey, near the village of Hatunsaray. Lystra was visited by Paul and Barnabas on the First Missionary or Preaching Journey (Acts 14). Lystra and Derbe were towns of Lycaonia (Acts 14:6). The locals spoke the Lycaonian language. They called Barnabas, Zeus, and Paul, Hermes (14:12). Inscriptions have been found that identify these particular gods with Lycaonia. This was the home of young Timothy, “the son of a Jewish woman who was a believer, but his father was a Greek” (Acts 16:1). Timothy accepted the invitation of Paul to join him on the second journey. Two of Paul’s epistles were written to Timothy. 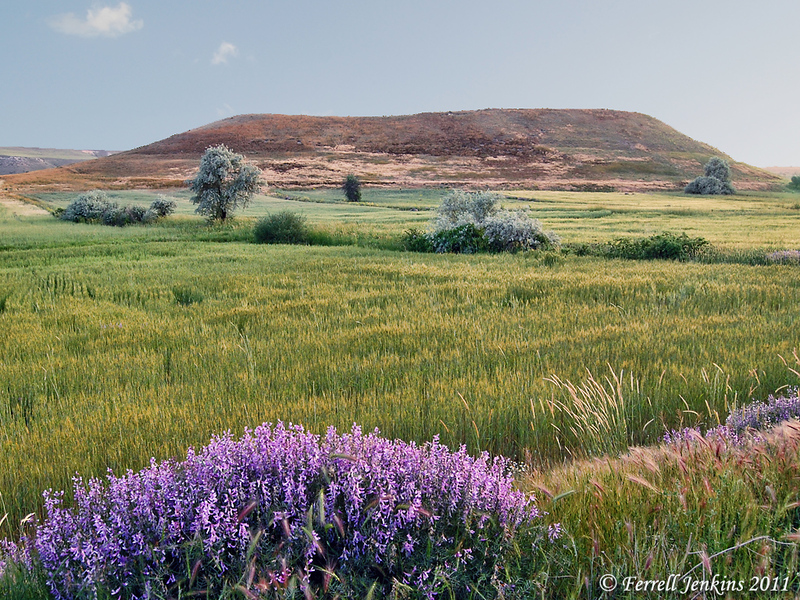 The mound of Lystra, 18 miles south of modern Konya. Photo by Ferrell Jenkins. After Paul healed a lame man, the residents of Lystra wanted to worship Paul and Barnabas as gods. Paul preached one of two sermons to Gentiles recorded in the Book of Acts (Acts 14 at Lystra; Acts 17 at Athens). The Jews of Pisidian Antioch who rejected the gospel message followed Paul to Lystra and persuaded the people against Paul. Paul was stoned, presumed dead, and dragged outside the city (Acts 14:19). In the second letter to Timothy, Paul says that Timothy knows about the persecution he endured at Lystra. Here is a brief summary of the events at Lystra during the visit of Paul and Barnabas (Acts 14:6-20). Healing of a lame man. Priest of Zeus and the crowd wanted to offer sacrifice to Barnabas and Paul. Sermon on the witness of God in nature. Paul was stoned and dragged outside the city for dead. In previous posts we have discussed the significance of Lystra in the work of Sir William Ramsay here and here. This entry was posted in Bible Places, Bible Study, New Testament, Photography, Travel, Turkey and tagged Apostle Paul. Bookmark the permalink. Thanks for helping me find Lystra! I thought it was next to Ephesus (maybe), but wasn’t quite satisfied with that. it’s not easy to find in Bible atlases until you realize it’s in Iconium.